The natural humidity of the shower softens the beard to make shaving easier. It also creates ideal conditions for women to remove make-up. 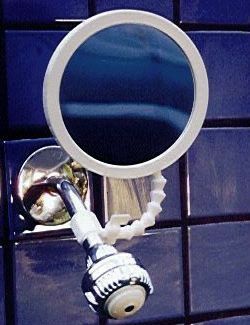 The Shower Mirror attaches easily to any standard 1/2 inch threaded shower arm the water flowing through the mirror keeps it fog free!